Landing in Texas, huh. Could someone map out where the March Starliner reentry will be visible from? I need to know if and where to look. I've seen White Sands (New Mexico), Dugway (Utah), Wilcox (Arizona) and Edwards (California) mentioned. Never heard anything about Texas before. landing site in White Sands Missile Range. This is one of five possible landing sites that Boeing is considering for Starliner missions and one of two such sites within the White Sands Missile Range, Barrett said. Other options include the Dugway Proving Ground in Utah, the Willcox Playa in Arizona and Edwards Air Force Base in California. NASA astronauts Mike Fincke, left, and Barry Wilmore participate in International Space Station spacewalk training at Johnson Space Center’s Neutral Buoyancy Laboratory in Houston on Jan. 29, 2019. Fincke is assigned to the first crewed flight of Boeing’s CST-100 Starliner spacecraft as part of NASA’s Commercial Crew Program. Fincke will crew the mission, known as Boeing’s Crew Flight Test (CFT), with fellow commercial crew astronauts Chris Ferguson and Nicole Mann. Wilmore is assigned as a backup crew member for the flight test. CFT will launch from Cape Canaveral Air Force Station in Florida. 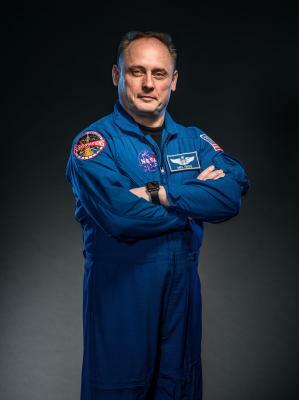 Fincke replaced astronaut Eric Boe earlier in January 2019 due to medical reasons. NASA astronauts Barry Wilmore, left, and Mike Fincke participate in International Space Station spacewalk training at Johnson Space Center’s Neutral Buoyancy Laboratory in Houston on Jan. 29, 2019. Fincke is assigned to the first crewed flight of Boeing’s CST-100 Starliner spacecraft as part of NASA’s Commercial Crew Program. Fincke will crew the mission, known as Boeing’s Crew Flight Test (CFT), with fellow commercial crew astronauts Chris Ferguson and Nicole Mann. Wilmore is assigned as a backup crew member for the flight test. CFT will launch from Cape Canaveral Air Force Station in Florida. 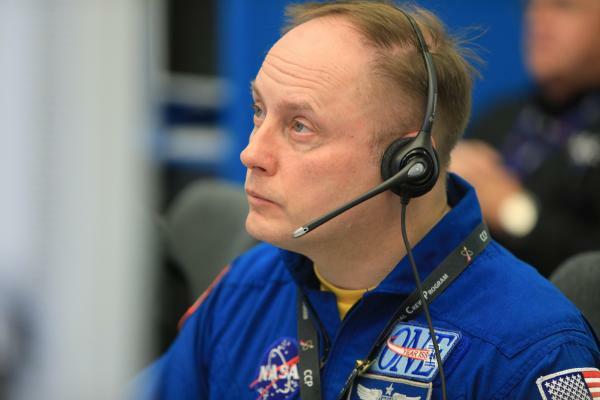 Fincke replaced astronaut Eric Boe earlier in January 2019 due to medical reasons. NASA astronaut Mike Fincke participates in International Space Station spacewalk training at Johnson Space Center’s Neutral Buoyancy Laboratory in Houston on Jan. 29, 2019. Fincke is assigned to the first crewed flight of Boeing’s CST-100 Starliner spacecraft as part of NASA’s Commercial Crew Program. Fincke will crew the mission, known as Boeing’s Crew Flight Test (CFT), with fellow commercial crew astronauts Chris Ferguson and Nicole Mann. CFT will launch from Cape Canaveral Air Force Station in Florida. Fincke replaced astronaut Eric Boe earlier in January 2019 due to medical reasons. 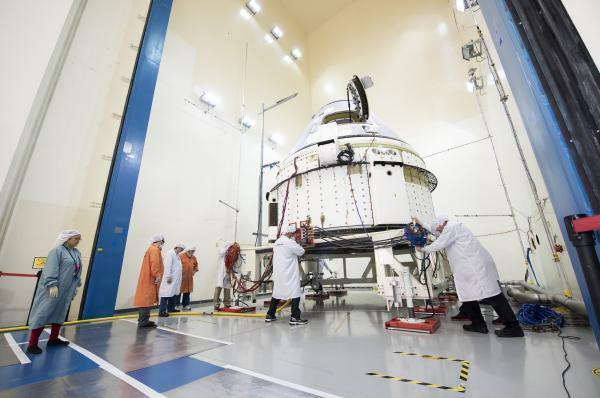 CST-100 structural testing declared complete by Boeing. 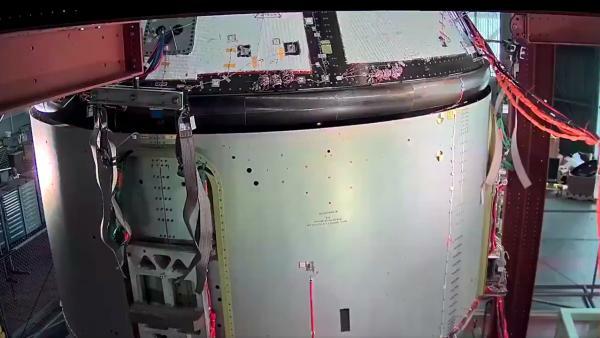 I'm attaching some screengrabs from the video, showing (I) SM/CM separation, (II) flight capsule (DM-1? ), (III) heat shield separation, (IV) SM/CM umbilical separation at cryogenic temperatures, (V) nosecone separation in two pieces, and (VI) aeroskirt separation. 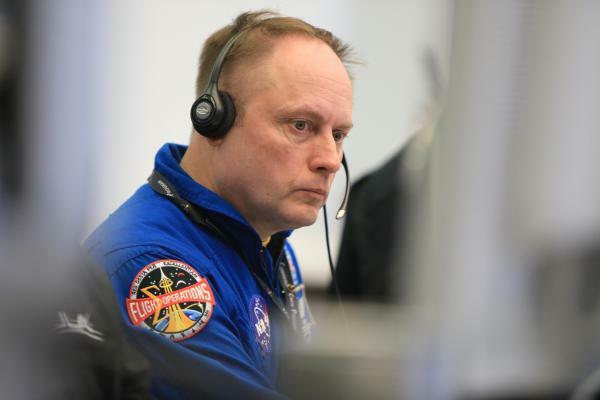 jsc2019e001293_alt (Feb. 13, 2019) --- NASA Astronaut E. Michael “Mike” Fincke has been assigned to the first flight of Boeing’s CST-100 Starliner. Fincke takes the place of astronaut Eric Boe, originally assigned to the mission in August 2018. At least the Fincke/Boe swap did not take place three days before launch. In Spring 2019, Boeing’s CST-100 Starliner will conduct a Pad Abort Test at the White Sands Missile Range in New Mexico. 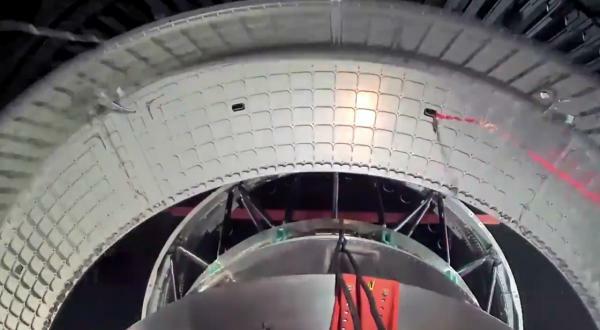 It will be a full-up test firing of Starliner’s four launch abort engines, which are designed to get the crew safely away from a potentially catastrophic failure of a rocket. 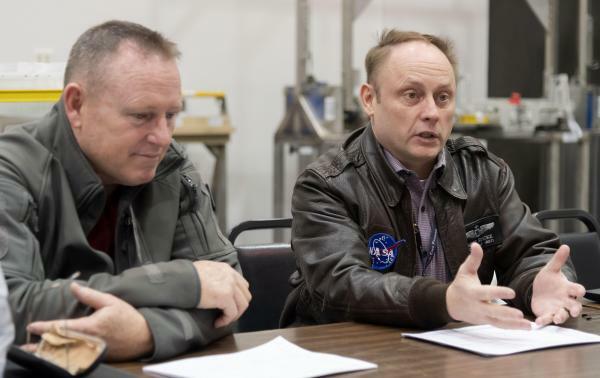 Along with the joint team that will launch the United Launch Alliance (ULA) Atlas V rocket and Boeing’s CST-100 Starliner in Boeing’s Orbital Flight Test, NASA astronaut Michael Fincke participated in a successful Integrated Crew Exercise on Feb. 12. NASA, ULA, Boeing and Department of Defense personnel executed a mock countdown that practiced fueling the rocket and operating on the unique launch day timeline that features a four-hour built-in hold at the T-minus 4 minute mark. Fincke will fly on Boeing’s Crew Flight Test (CFT), scheduled to launch no earlier than August 2019. OFT and CFT are Boeing’s uncrewed and crewed flight tests of Starliner and part of NASA’s Commercial Crew Program, which will return human spaceflight launches into low-Earth orbit from U.S. soil. So, the pad abort takes place at White Sands and comes down in the desert? No proof of (salt) water-worthiness after sustaining those loads by launching off/near LC-41 and landing in the drink? No need to. Float tests, sea-worthiness tests and crew water egress training have already been performed for Starliner. 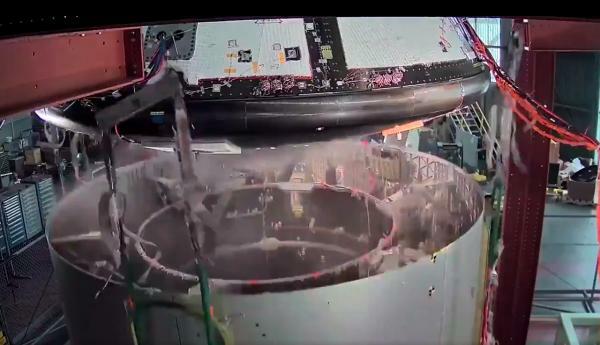 Additionally the basic capsule structure has been crash-landed into the hydro basin multiple times, as part of testing the Earth Landing system (including the airbags). The only thing left to do is to examine the crew module structure after the pad abort test. If there is no structural damage to the pressure vessel and associated float chambers than Starliner is good to go for landing in the drink in case of a pad abort- or ascent abort scenario. I was more concerned with sustained (&gt;momentary) acceleration loads beyond those for launch. Pad abort will give a very good idea with regards to the sustained acceleration loads. You don't need to dunk the capsule in the drink for that. SEATTLE (Reuters) - Boeing Co has delayed by at least three months its first uncrewed flight to the International Space Station under NASA’s human spaceflight program, and pushed its crewed flight until November, industry sources said on Wednesday. NASA and Boeing have agreed to extend the duration of the company’s first crewed flight test to the International Space Station after completing an in-depth technical assessment of the CST-100 Starliner systems. NASA found the long-duration flight to be technically feasible and in the best interest of the agency’s needs to ensure continued access and better utilization of the orbiting laboratory. The extended duration test flight offers NASA the opportunity to complete additional microgravity research, maintenance, and other activities while the company’s Starliner is docked to station. The mission duration will be determined at a later date. 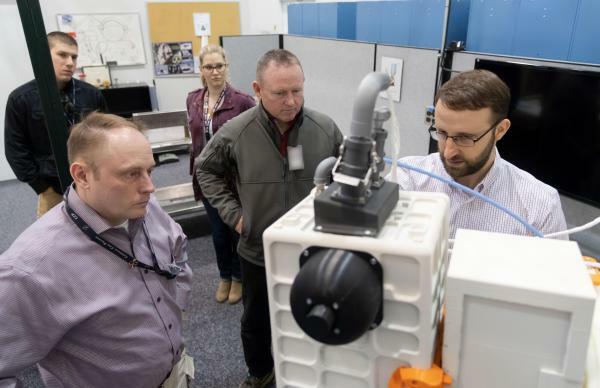 The agency and its industry partner also agreed to adjust the target launch dates for flight tests, which will demonstrate Boeing’s readiness ahead of NASA certification to fly crew regularly to the station. Boeing is now targeting August for its uncrewed Orbital Flight Test, although this date is a working date and to be confirmed. The decision to adjust that launch date was guided by limited launch opportunities in April and May, as well as a critical U.S. Air Force national security launch – AEHF-5 – atop a United Launch Alliance Atlas V rocket from Space Launch Complex-41 in June. The company’s first flight with astronauts on board, called the Crew Flight Test, is now targeted for late 2019, again to be confirmed closer to that timeframe. Boeing also will fly a Pad Abort Test before those two orbital flights to demonstrate the company’s ability to safely carry astronauts away from a launch vehicle emergency, if necessary. While the Starliner spacecraft for the Orbital Flight Test is close to complete, the additional time will allow teams to thoroughly focus on the test and validation activities well ahead of launch. Boeing continues to advance toward meeting the agency’s goal of returning human spaceflight launches from American soil to the International Space Station as a part of NASA’s Commercial Crew Program. 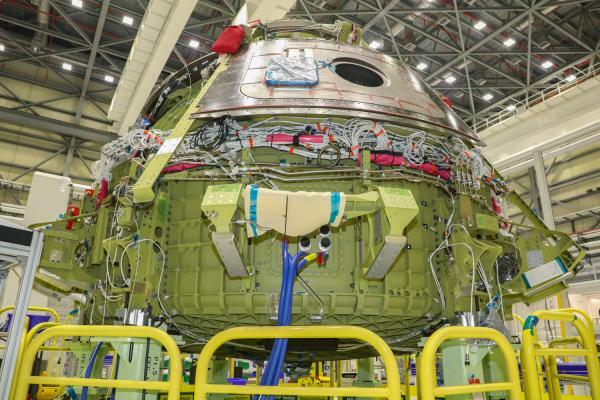 Boeing’s Starliner spacecraft for the uncrewed flight test is nearly complete. This spacecraft is designed to be reusable up to 10 times, and will be used for the company’s first full operational mission after certification. The Starliner team is working to complete all of the critical testing and integration on the spacecraft to ensure the shortest possible time between the completion of the uncrewed flight and the first launch of crew, and then to operational missions to station. 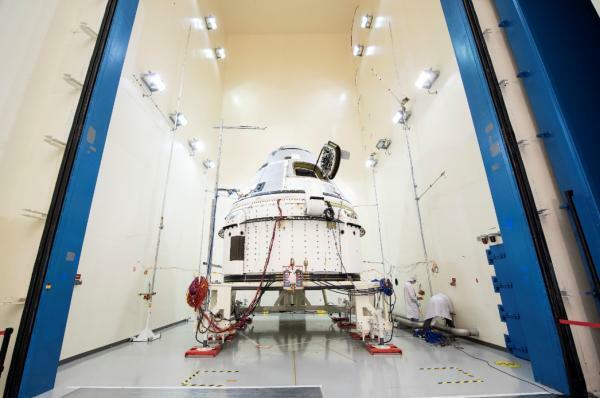 On March 11, Boeing mated the upper and lower domes of the same spacecraft inside its Commercial Crew and Cargo Processing Facility at Kennedy Space Center in Florida. 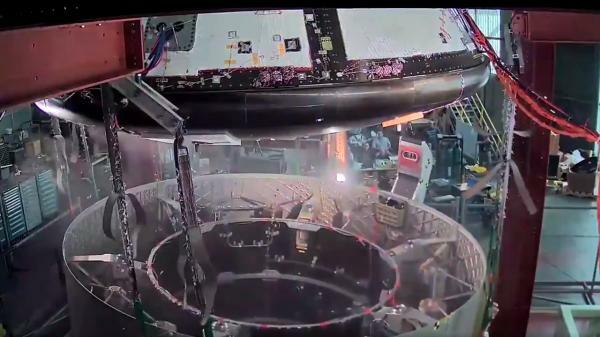 The two domes underwent outfitting with avionics, cooling systems, wire harnesses, fuel and life support lines, and other critical systems before being mated together. This is one of the last major milestones ahead of final processing and closeouts for flight. NASA and Boeing teams also completed two parachute tests. In February, a “lawn dart” dropped out of a C-17 aircraft over the Yuma Proving Ground in Arizona, and the parachutes performed as planned. These reliability tests are part of a special studies program NASA initiated to validate the robust design of Starliner’s parachute systems. Then in March at the White Sands Missile Range in New Mexico, Boeing completed the fourth of five parachute qualification tests. Successful completion of all five tests will qualify the entire Starliner landing system for flight with crew. Another key milestone for the capsule included successful range of motion testing on the docking adapter – known as the NASA Docking System, or NDS – that will connect Starliner to the space station’s Harmony module later this year. 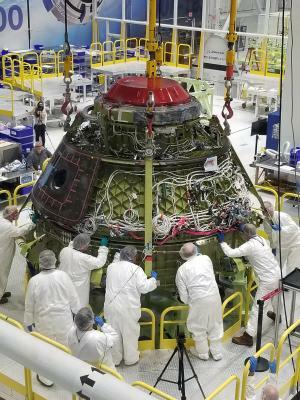 Boeing also is working on the Starliner spacecraft slated to fly the Pad Abort Test, which will demonstrate the abort engines can push the spacecraft about a mile up and a mile out from the test site. 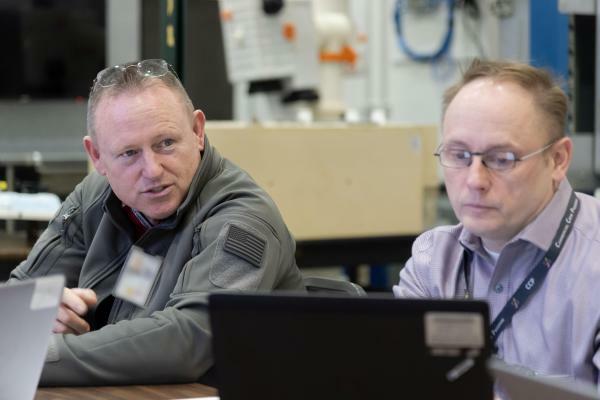 This test will take place at White Sands Missile Range in New Mexico ahead of the Orbital Flight Test. As a precursor to the abort, the company is preparing to restart its Service Module Hot Fire test campaign at NASA’s White Sands Test Facility in New Mexico this spring. New hardware, including launch abort engine valves, have been redesigned and manufactured and are being installed on the test abort engines. The next set of new hardware will soon be installed in the pad abort service module. Boeing’s Crew Flight Test spacecraft recently completed its Environmental Qualification Test campaign at the company’s Space Environment Test Facilities in El Segundo, California. 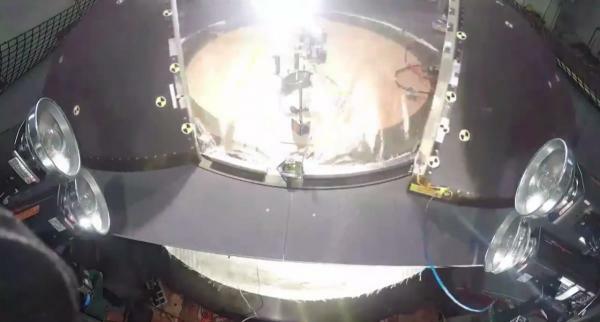 The Crew Flight Test vehicle underwent rounds of acoustics vibration, thermal vacuum and electromagnetic interference and electromagnetic contamination testing. 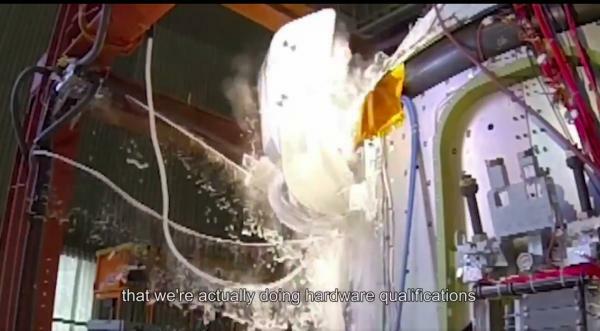 These tests are designed to simulate the harsh environments of launch, ascent and orbit and also prove that the electronics systems will operate in space and not interfere with other satellites or the station. 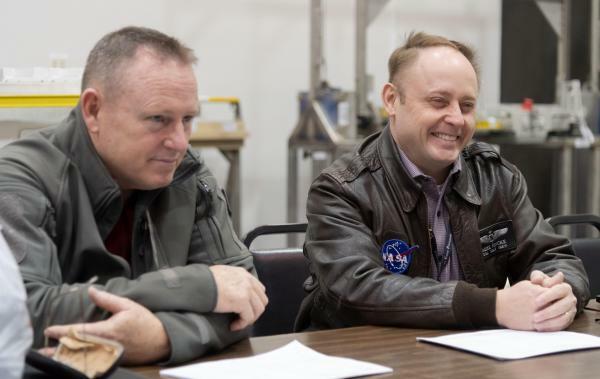 NASA astronauts Nicole Mann and Mike Fincke and Boeing’s Chris Ferguson are continuing preparations for the Crew Flight Test at Johnson Space Center in Houston. 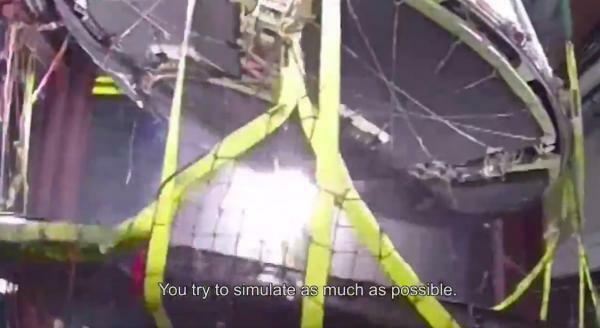 They are training on Starliner’s systems, including nominal and unlikely scenarios, such as water rescue training. 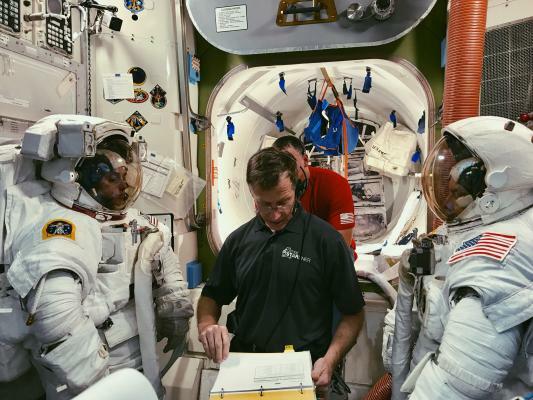 They are also well into space station training, and are now focusing on becoming a longer duration crew. Mann and Fincke are training for upcoming spacewalks, and Ferguson is training to support them from inside the station. The crew for NASA’s first operational mission on Starliner, Suni Williams and Josh Cassada, are continuing similar training. 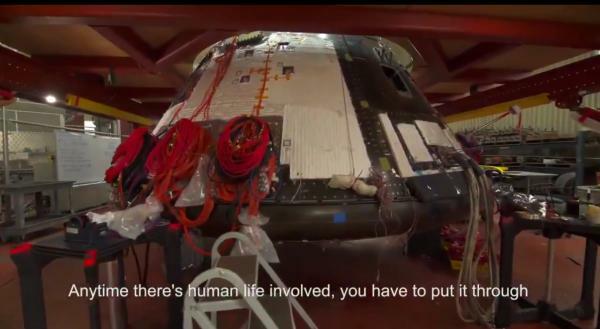 All five Starliner crew members are making regular trips to Starliner production and test facilities to get to know the people and the vehicles that will take them safely to orbit and back. NASA also is working with SpaceX to return human spaceflight launches to American soil. 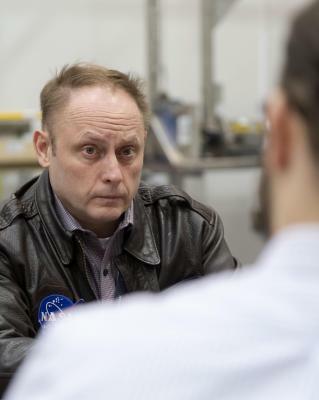 The company completed an uncrewed flight test, known as Demo-1, to the space station in March. SpaceX now is processing the same Crew Dragon spacececraft for an in-flight abort test. The company then will fly a test flight with a crew, known as Demo-2, to the station. NASA's Commercial Crew Program and SpaceX are expected to reevaluate its target test dates in the next couple weeks. Blaming Atlas V is not only hilarious, it's just plain wrong. I am guessing with all the PR issues Boeing is facing at the moment, them mentioning the issues as reported by L2 would not be in their best interest.